Grown up Christmas list. . .
Bethlehem, it has me thinking today. I know with certainty that the experience had nothing in common with our typical, pristine images of bucolic sweetness and peace! Joseph, the one who heard from angels, even Gabriel, did his best, but he found no housing for his young bride and their soon-to-arrive son. He settled for a stable stall and made the best of it. 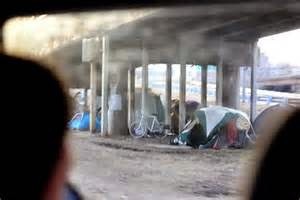 Really not so different from trying to begin a family under the I-45 bridge here in Dallas. An experience like many of my friends live through every night. 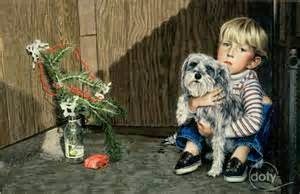 Just such a homeless world greeted the baby Jesus. However, some don't make it through the night. A few nights ago here in the city, an evil person murdered a woman who tried to live in this manger-like environment. Possibly motivated by some deep mental illness--produced by the street or arising from something equally terrible before the street, who knows?--her killer found it easy to take advantage of the wide open vulnerability of life lived without housing. Not much protection available when you have no place to call home. My friend died a horrible death. Like that young couple so long ago, she had no housing--there was "no room in the inn" for her. As I reflect on the concept and reality of Bethlehem, I realize how important housing is to safety and life. Housing is a human right, not some option provided by charitable hearts. I also realize where God lines up on all aspects of this reality. The Jesus story reveals that God encountered life as we know it, and God began at the very bottom. Where else is there for us to begin? Praying a blessed Christmas for you and yours, as well as a faith in keeping with the meaning and mission of this amazing child! It is no use to say that we are born two thousand years too late to give room to Christ. Nor will those who live at the end of the world have been born too late. Christ is always with us, always asking for room in our hearts. But now it is with the voice of our contemporaries that he speaks, with the eyes of store clerks, factory workers and children that he gazes; with the hands of office workers, slum dwellers and suburban housewives that he gives. It is with the feet of soldiers and tramps that he walks, and with the heart of anyone in need that he longs for shelter. And giving shelter or food to anyone who asks for it, or needs it, is giving it to Christ. The Christmas story blows my mind. Take 30 minutes and read Matthew 1:1-2:23 and Luke 1:1-2:40. I think you'll get my point quickly. For the beginning of the story of possibly the most famous, well-known birth in history, the account we're provided by Matthew and Luke is, well. . .it's a real mess! For certain, these events shove up against an extremely "thin place" in the wall that separates human reality from the "other side," from the eternal. There are rank sinners in the pedigree of this child, Jesus. There are surprising happenings. I mean, really surprising. 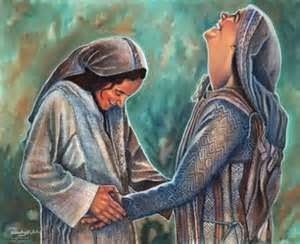 An unwed teenage girl, now pregnant, but still a virgin, told by an angel that her child is the doing of God via the Holy Spirit. A young man, pledged to the young woman, crushed by the news of her pregnancy, naturally. But, he too, reassured by an angel and by an angel's dreams that the entire turn of events is God's work and workings. In fact, angels are everywhere in this story, as are the dreams they inspire. And, it's an extended family deal with an old couple, related to the young, soon-to-be mother, now told again by an angel that they will have a child in their old age! The old man, who reasonably doubts this message, is struck speechless (by the head angel) until the child, John, arrives. There are shepherds--labor union types, working men--looked down upon by most respectable people--whose days turn out uniformly tough, low wage affairs, now caught up in the atmospherics of absolute change and revolution of some sort. Then, the young mother of Jesus, sings a song of radical liberation that cuts in ways that mean to alter economics and politics as she envisions the work of her boy. 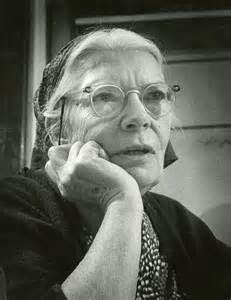 Her song is that of a poor woman who's read the Hebrew prophets with knowing recognition of experiences of oppression. Even rich kings get in on the act and out fox an evil king who wants the virgin born boy dead. They return home at the behest of another angel while the young couple end up in Bethlehem, homeless and making do with a barnyard stable for a birthing room. After offering the sacrifice reserved for the poor (you see, these parents could be expected to show up at our food pantry today) to consecrate the infant, they go into exile in Egypt to escape the genocide perpetrated by mad King Herod. This little family knew toxic stress and embraced faith to get through. The little family became immigrants, refugees, strangers in a foreign land. There is nothing about this narrative that is normal, ordinary or rational. But then, that is its power. Humanity stews in mess after mess of its own making. God shows up with a light show only those open to revolution can comprehend! Hang on, angels, kings, laborers, young folks, old folks, prophets and dreamers--God shows up again to shake the foundations for the healing, the repair of this world. God calls us only to believe, one more time. Low pressure freedom to heal. . . I was listening to Valerie talk about a neighbor just now. Apparently he was in another housing program before CitySquare and he got kicked out for “behavioral” issues ( alcoholic) . We took him in and he was unsteady with us for quite a while. We have 3 other neighbors that I know of, in our housing program right now, Eddie [a really challenging gentleman!] 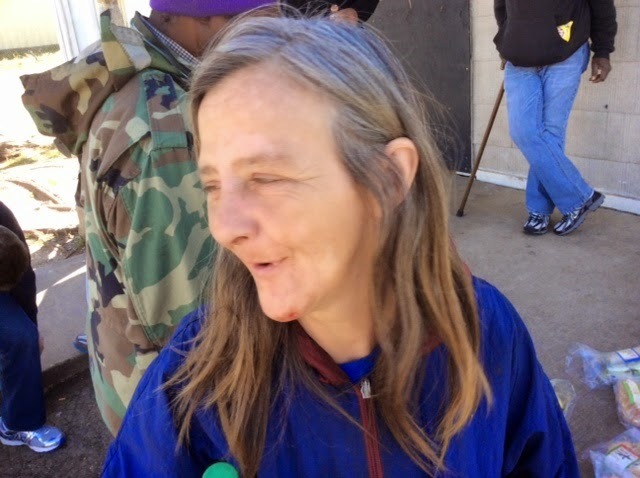 being one, that were terminated from other “Housing First” programs and are now successful with us. 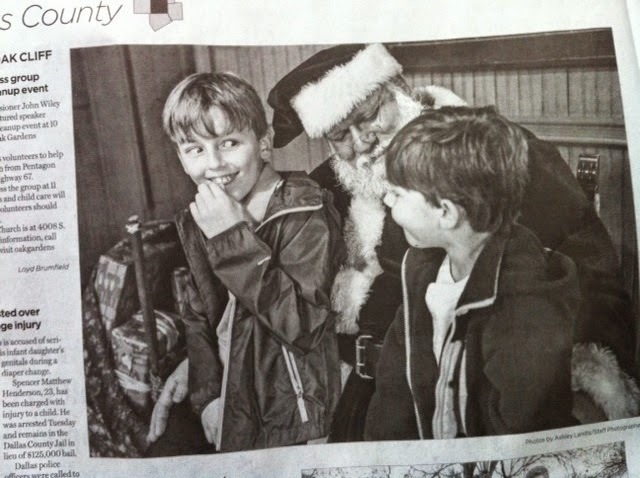 Two of my grandsons made The Dallas Morning News on Thursday while sitting on Santa's lap. I love Owen's eyes as he hears what Henry is telling Santa! Boy, do I love Christmas! Volunteers who love. . .
Below I've shared a message that a volunteer organizer sent to his team after a Christmas meal served at CityWalk, our Downtown Dallas housing community. The sentiment was so simple, sweet and significant that I had to pass it along. Be blessed this Christmas! Thank you so much for your help last night with the Christmas Event for the residents at CitySquare. This was our third year to participate and by far the best event yet. This morning early I was reading some material regarding love. There was a paragraph in the material that started with this: “The best way to feel love is to give love." I felt like we showed some of our Dallas community that we care about them and that we love them. If only one person felt that we cared and loved them last night, then the whole effort was a huge success. From my standpoint however, I think that many folks felt happy and loved last night as a result of the kindnesses you showed them. For me, the Christmas season began last night. I am so glad to have had the opportunity to share something this special with all of you. I am already thinking about the 2015 event and look forward to working with you again next year. Thank you all again. I hope you have a very safe and happy Christmas season. Routine investment without extra cost! There are routine ways to give back to CitySquare without opening your wallet. Please take a couple of minutes to register CitySquare as the beneficiary of money you are already spending on groceries and Amazon! 1. 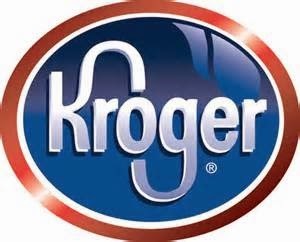 Kroger: To register your Kroger rewards card, click here. All you have to do is click “enroll” and type in CitySquare. That’s it! 2. 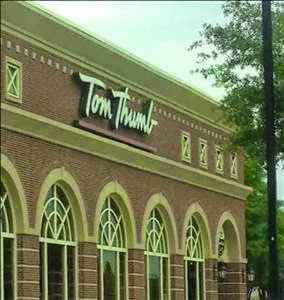 Tom Thumb: Register your Tom Thumb rewards card here. Make sure you enter CitySquare’s charity number—it's 1247. Tom Thumb will give a portion of your purchase back to CitySquare! 3. 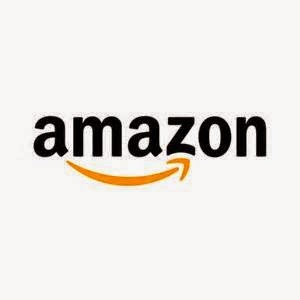 AmazonSmile: When you shop on Amazon through AmazonSmile, it donates a percentage of your purchase back to us! Click here and select CitySquare as your charity of choice. Feel free to forward this email on to your family and friends and encourage them to do the same. It’s a simple way to support CitySquare! Thank you for all that you do for CitySquare. I have come to believe that the true mystics are not those who contemplate holiness in isolation, reaching godlike illumination in serene silence, but those who manage to find God in a life filled with noise, the demands of other people and relentless daily duties that can consume the self…. If they are wise, they treasure the rare moments of solitude and silence that come their way, and use them not to escape, to distract themselves with television and the like. Instead, they listen for a sign of God’s presence and they open their hearts toward prayer. Death stalks my homeless neighbors. Life on the street can be terribly unforgiving. The elements, poor diet, unattended medical threats, and toxic stress combine to injure and often permanently damage, not only the spirits, but the physical bodies of important men and women. Even when housing is secured, the affects of a previous life "out side" linger and often catch up to a person. 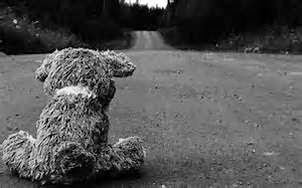 As a result, we lose a number of our friends every year simply because their past, deep wounds couldn't be overcome. Dying with dignity at home provides small solace every time a friend slips away. We count on losing people to the point that we have an annual memorial service for those who have slipped away from us. Most horrid is self-inflected departure from this world. We lost a young man to suicide a couple of weeks ago. He seemed to be doing well. He had been in housing with us for about a year. He was a model tenant. He had found a job at a local hospital. He was working, and seemed to be ready to thrive. Then, came a shift change--what to most would be a small distraction calling for modest adjustments. Somehow though, for this friend, this disruption or maybe something else threw him off course. His pain mounted and broke him. The community erupted with grief, despair and deep sorrow. We won't soon get over this loss. We live in a mystery. If you pray, pray for us and for all who loved him. Loss is real, very real. 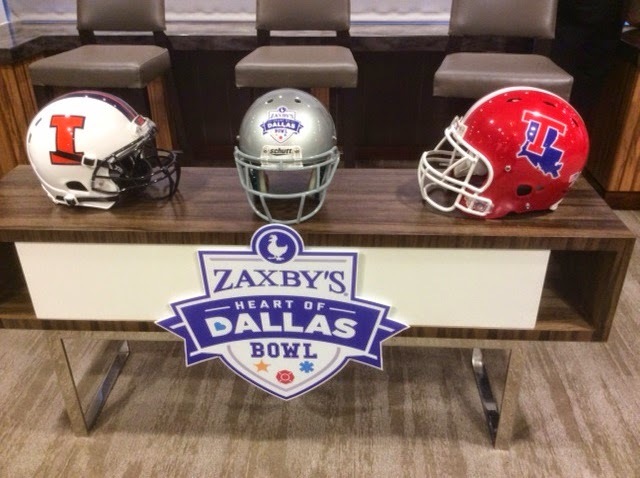 Again this year, CitySquare feels grateful to be in a partnership with ESPN and the Zaxby's Heart of Dallas Bowl! 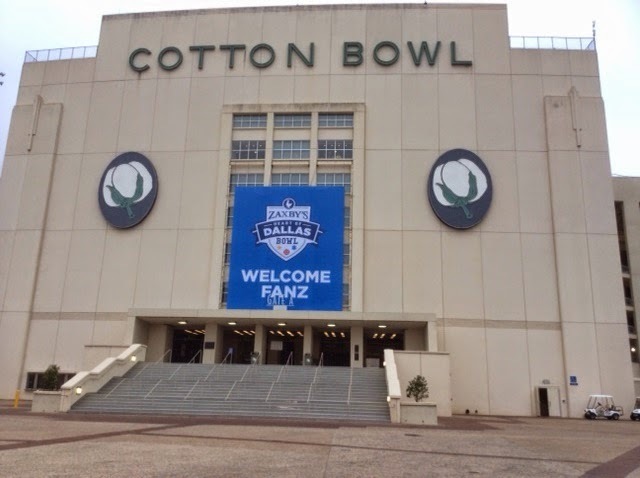 The game will be played at the historic Cotton Bowl Stadium at noon, on Friday, December 26. CitySquare is one of the beneficiaries of the game that pits the University of Illinois Fighting Illini against the Bulldogs of Louisiana Tech. Just let me know at ljames@CitySquare.org. After awhile you develop a 6th sense that I call "recognition of reality." For me it kicks in big time when I'm in an observant role and alone myself. It happened for me most recently on Sunday as I drove to my favorite breakfast joint by myself. The first was an old woman. She made her way up the broken sidewalk on a walker. Hers was not an easy trek. She carried a bag or two of what looked like groceries. The bags, though necessary, made her journey even more difficult. As I watched her, I knew she was alone, I mean all alone. I have no idea her destination, but I do know (much more than suspect) that the end of her journey last Sunday morning would be an alone place. Then, there was a homeless man on a bicycle. Don't ask me how I knew he was homeless, but he was. All his possessions seemed lashed to the bike, except for the backpack that he wore. As I watched him navigate the same sidewalk as the woman, I knew again that his destination would involve a different sort of aloneness. There would be others present, under a bridge or in a shelter, but still he would end this day all alone. Finally, on that same stretch of sidewalk another man without a place to call home and on foot. He stepped off the sidewalk to make way for the chap on the bike. Some small talk exchanged between the two created something just short of a smile. This final man, loaded down himself, presented a deep sort of almost palpable sadness to me, though he had no idea I was observing. Three people alone, in a deep loneliness. As I ate my hot breakfast at my favorite hole-in-the-wall café, I wondered why I hadn't invited them all to share a table with me. "Alone" can be a nice place to visit, but it seems to me a terrible place to live. Podcast with Norsworthy. . . 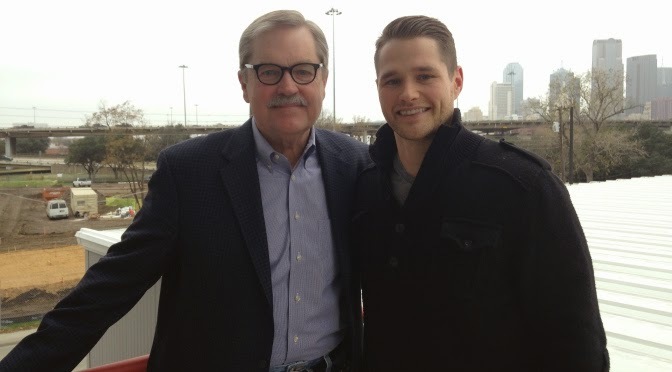 Enjoyed my conversation with Luke Norsworthy today! I grew up with his dad, Larry. You can listen to it here. Larry James, CEO and President of CitySquare joins the show to talk about The Wealth of the Poor, Ferguson, the importance of relationships across racial lines, personal responsibility verses systemic change, how people can get involved in the life of the poor. Recently, CitySquare's Build 4 Success construction trades training program participants worked on site at The Cottages at Hickory Crossing. It was a great experience for our students, and it is great to see these 50 new homes coming out of the ground at last! When you support CitySquare, you lift neighbors to a higher place! How do we think about Ferguson, MO? Lots of opinions have been expressed, many leading in the direction of further, national polarization at a time when we need just the opposite. I haven't read the 3,000 pages of grand jury transcription. I haven't heard all of "the facts of the case," not to equate the recorded proceedings with "fact." Here's what I think I know about Ferguson, MO, and what I suspect may be in the background of considerations of recent horrific events there. People of color in the small St. Louis suburb are vastly under-represented in public institutions such as government, school district and law enforcement. People of color in Ferguson receive a disproportionate level of attention and ticketing from law enforcement officers who evidently play a large, some would say undue, role in raising operating capital for the city through writing citations. As a result, frustration with the police has been a long-standing fact of life in the small town. The Ferguson tragedy that involved the death of Michael Brown, an unarmed teenager, is not unique in our nation. The fact that nationally young black men are shot by police officers 21 times the rate of young white men doesn't help the community atmosphere. Just here I could list a number of names in the news recently whose encounters with law enforcement officials needed in horror and loss. For years African American parents have coached their children, especially their sons, about how to react to police attention or encounters. During the time I was a member of the Central Dallas Church, I had numerous discussions about this necessary "talk" that occurred again and again among our young men and their parents and peers. People who wield power have a responsibility to approach conflict with a mindset and attitude of de-escalation and "win-win," rather than "win-lose." Controlling conflict accompanied by super-charged emotions requires special skills, servant leadership, expertise and great heart. Developing these special skills requires training and re-training as a part of a normal law enforcement regimen. Community policing is all about establishing meaningful relationships with and in neighborhoods that move beyond heavy-handed confrontation. Again, this approach to law enforcement calls for special training and special law officers. Community policing by definition builds relationships, depends on residents to support police work and instills confidence, not fear in the lives of those being served. Looting, burning, vandalizing and violence are never acceptable responses to the failure or the injustice of public policy or institutions. The rule of law is central to the stability and health of our communities and our nation. Non-violent actions of dissent are vital to a movement for change, but not violence that so often destroys neighborhoods and businesses already oppressed by social factors so evident in this case. The vast majority of Ferguson residents involved in protests conducted themselves peacefully, with strength, dignity and determination. Such organized, community responses stand in the best, rich tradition of the American Civil Rights Movement, and should be encouraged and defended. As I read, hear and learn more about the dynamics of the Ferguson experience, I realize that countless American communities are set up for terrible events just like these. As friends and neighbors, we need to work for a better life together here in Dallas. And, we need to talk.